Supplier of aircraft aviation products, dangerous goods etc. ODS also provides support for Sealants, Adhesives, Oils, Lubricants and Fluids, Tapes, Abrasives, Paints and coatings, Cleaners and Composite Products. We offer the latest products specified by all Aircraft manufacturers which are all fully traceable to the manufacturer and are supplied with a Conformance Certificate/ Release Note. 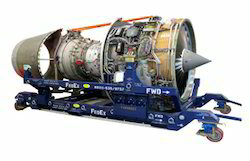 ODS Aerospace is also into providing engineering and consulting services such FAA/EASA certification for modifications and retrofits, FAA DER repair development, FAA PMA development and regulatory certification. ODS stocks high-grade handheld as well powered tools such as torque wrenches, socket ,screw drivers , connectors, machine-powered IMPACT torque tightening tools, mechanical & electronic torque wrenches and testers, chisels, pipe-cutters, screwdrivers, pliers, hammers, VDE insulated tools, bodywork tools, workshop trolleys and tool assortments, special tools for the aerospace industry. ODS offer a wide range of airport support equipment, including aircraft pushback tractors, baggage towing tractors, conveyer type belt loaders, 400-Hz ground power units, turbine and diesel powered jet air starts, portable air conditioners, 28 V DC power supplies, tripod jacks, military vehicles, and much more.